Chris and Sandra decided that they wanted to run their own bed and breakfast business and set about looking for a suitable business to buy. After looking at several properties they eventually came upon Tir-y-Coed in North Wales. Chris, who has a background in finance, recognised the challenges involved in securing the debt required and approached us here at Stewart Hindley & Partners to help them. We worked closely with Chris, Sandra and the lender to secure the property. Stewart Hindley & Partners produced a comprehensive loan proposal detailing the historic trade of the bed and breakfast, future plans for the trading going forward and projected turnover. The purchase has now completed and Chris & Sandra moved into their new home/business at the end of June 2016. 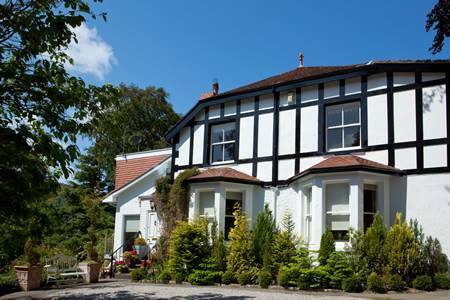 Tir-y-Coed Country House is a beautiful former gentleman’s residence built in the late Victorian era. 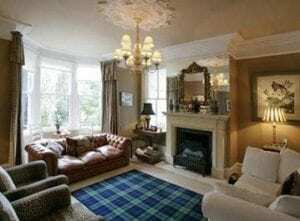 The property is located in the village of Rowen inside the very popular Snowdonia National Park. The property nestles in over an acre of beautiful, mature landscape gardens and provides a peaceful 5* experience for its guests. 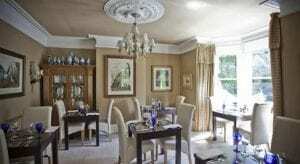 The bed and breakfast has 6 en-suite bedrooms all furnished and decorated to a high standard. The rooms are spacious and light and situated on the first floor. On the ground floor there is a modern garden room, bar and balcony all enjoying a South facing aspect overlooking the grounds. Tir-y-Coed is one of the finest country houses in the area, with an established trade, offering guests free WiFi, a fully licensed bar and restaurant. Chris and Sandra plan to develop the overnight trade and food offering at Tir-y-Coed, re-opening the dining room on a regular basis and offering evening meals to local residents and guests alike.